Despite being only 24 I have some experience with renting a car when on holiday. Below I wrote my most valuable tips or you. For example if you go to Big Island, it is impossible to get around unless you want to take an Uber every time you go out. There is no good transportation and it would be a pity if you could not ride the Road to Hana. But if you plan on staying on O'ahu there is a bus that goes around the Island and only costs you about 2 dollars. 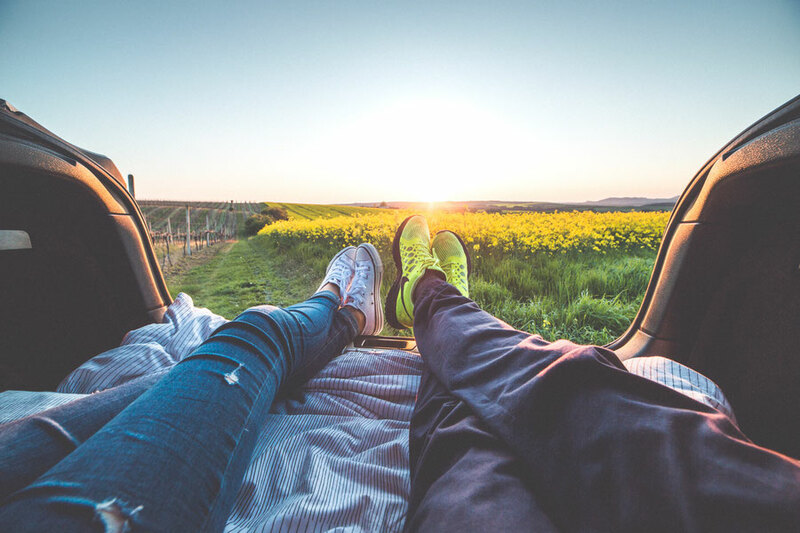 Then again if you want to have full freedom you should most definitely rent a car there as well. 3. Determine what kind of car type you need for your activities. 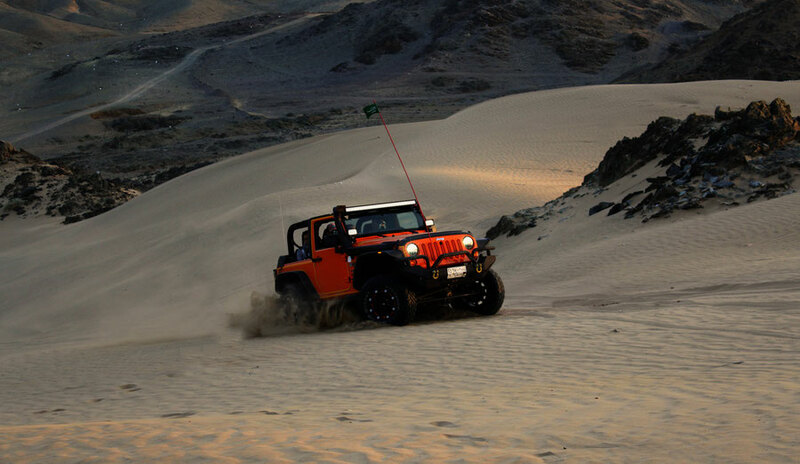 Are you planning on following the main roads, go from A to B, or are you up for some adventure and want to go off road? Take this into consideration when selecting your car type. I found that Alamo has the lowest prices. 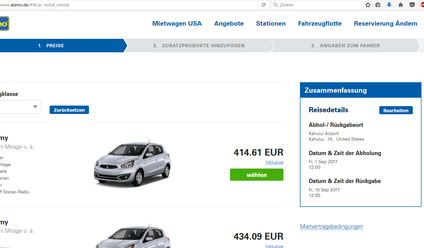 But, Alamo.nl has higher prices than Alamo.de, the German based Alamo. It actually makes a big difference as you can see below. 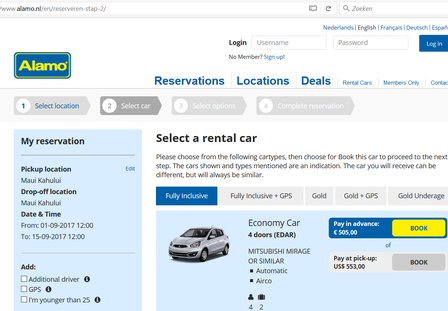 This is the difference for renting a car 2 weeks on Maui via the Dutch and the German Alamo website. The difference on the Economy car is 100 euros. 5. Read the fine printing. Before booking your car, check the fine print of the insurance of the package that you picked. Some allow multiple drivers, while with some the insurance only covers the booker of the car. Also check if you are still insured when going off road. When possible always pay your car in advance. This saves you some bucks. Also, you don't know how the currency exchange will develop, it might not be in your benefit. Most of all, enjoy your adventure !